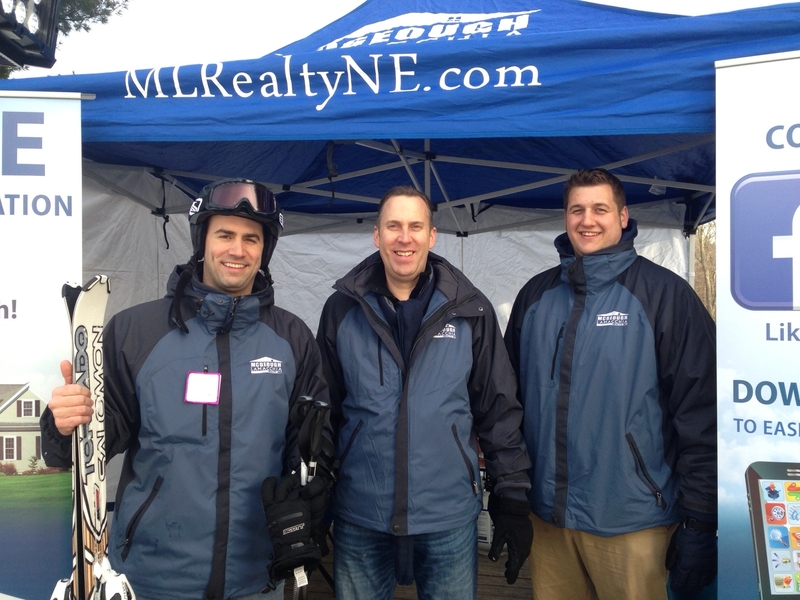 John and Anthony were at Ski Bradford in Bradford, Massachusetts, today with the newscasters from Fox 25 Morning News. I’ll wear a suit next week! He keeps a jacket on! We’re in front of a fire and he’s got a jacket on you’re going to be sweating. You look good though, jacket looks good. You guys do a lot of business in this area. You know the Bradford market pretty well. Are people buying up in this area? No question this area has always been good to us and most agents sell in a reasonable amount of time so it’s similar to the average price point, is similar to, a little less than the Massachusetts average so it’s a little more affordability so really it’s a good market. Jacket looks good on you too. I wasn’t excluding you. I brought the scarf as well. This is what I’m dealing with every week. Anthony and I were pounding donuts earlier, that’s more our style. He’s a little more classy. Let’s talk about some of the places that you guys are looking at. I’ll have to look at that, I don’t have sprayed insulation because I don’t have that where I am. I’d like to look at that. Oh yeah stay cold instead? It’s the most efficient insulation so if you’re looking into it we highly recommend it. Get the President to help me out. He can take care of that for me. The next one’s on 10 Fairway Drive, it’s on for $350,000, 2,300 square foot Colonial, 2 car garage, big back yard, it’s about a 16000 foot lot, but a real nice home big back deck overlooking the yard, big master suite, cathedral ceilings, his and her sinks in the bathroom so real nice place, and the cool part about it is it’s on a dead end, off of a cul de sac so it’s in a great neighborhood. In his section of Haverhill to get the nice back yard that’s really nice. By the way how hot are you in that jacket? I’m getting warm now I might just take it off. Cause I’m getting hot–That fire’s throwing the heat! Any other banter before I get to the last one? Real nice dormers, big dormer over the garage is real nice. Absolutely and on a cul de sac as well. We’re not wading into that! Which one’s the better skier by the way? Oh I don’t ski, Anthony skis. You’re coming to Loon next week? I’m definitely coming to Loon. Beautiful we’ll see you then you will need the jacket then. Not going to be 50 up there! John and Anthony it’s great to see you guys. 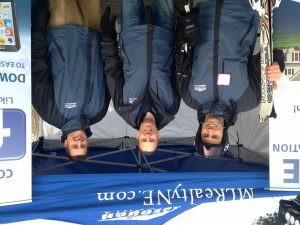 McGeough and Lamacchia are going to be with us all winter as we go on the slopes! We look forward to spending some more time with you. 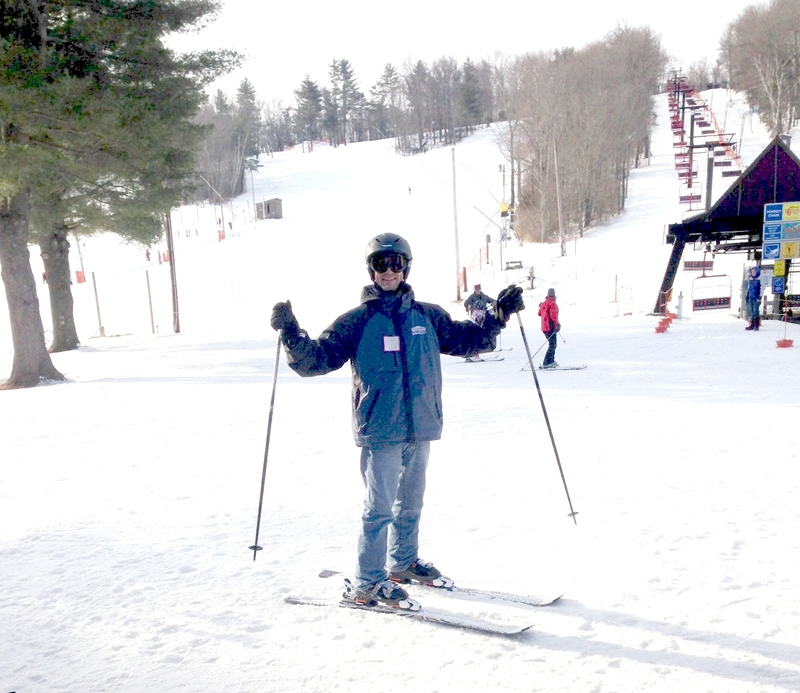 Anthony Skis at Ski Bradford! Bradford Massachusetts is a town in Essex County which became part of the city of Haverhill in 1897. Bradford has its own stop on the Haverhill/Reading commuter rail and is less than a 45 minute drive to Boston. It is near interstate 495. The population of Bradford is 13,416. What makes Bradford a great town to live in? 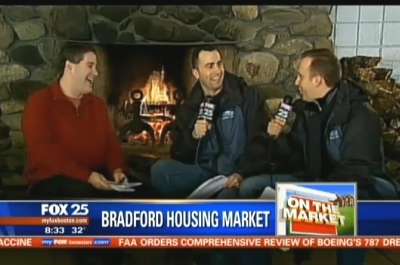 Bradford is home to Ski Bradford, where we were today for our first On the Slopes appearance on Fox 25 Morning News. Ski Bradford offers snowboarding, skiing, rentals, and lessons. Ski Bradford also hosts the Bradford Ski team, a youth alpine race club for racers grades K-12. It offers entry-level competition by participating in the Eastern Mass Buddy Werner League and an optional higher level of competition by attending select Tri-State and USSA open races in Southern New Hampshire. Bradford is also home to the Bradford Country Club which, in addition to offering golf, hosts tournaments, outings, and leagues, as well as weddings and other functions. Bradford residents can explore the Haverhill Arts District where there are several art galleries, antique shops, pubs, and restaurants. For those interested in outdoor activities, Chadwick Pond offers fishing, boating, and canoeing. Bradford residents have been enjoying food at Chick’s Roast Beef in Bradford for over 25 years, especially their famous roast beef sandwiches and seafood platters. Roma Ristorante on Middlesex Street has been a fixture in Bradford for over 70 years. It offers Italian and Greek lunch and dinner options as well as a reception hall for weddings and functions. Bradford is served by the Haverhill Public School System that includes Bradford Elementary School and Haverhill High School. Private schools include the Bradford Christian Academy and the Sacred Hearts School, which has two main facilities, an Early Childhood Center and an Elementary School. The average sale price for a single-family home in Bradford is $265,251 and $136,683 for a condo. Do you live in Bradford? Tell us what you like most about Bradford or send us your photos!